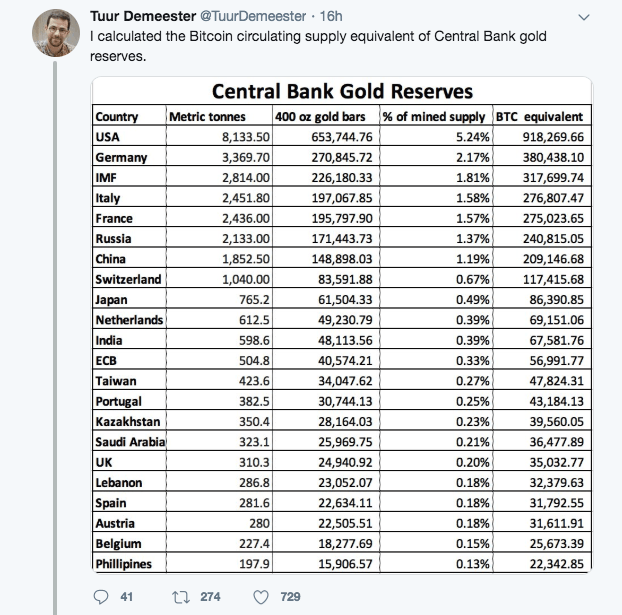 Tuur Demeester, the Founding partner at Adamant Capital, calculated that the Bitcoin market share of MtGox is more than the gold reserves of the Swiss Central Bank. MtGox is currently planning to execute the “Gox Rising” project to ensure that victims of the Mt. Gox hack are paid a fair share of what has become more than a billion in assets.